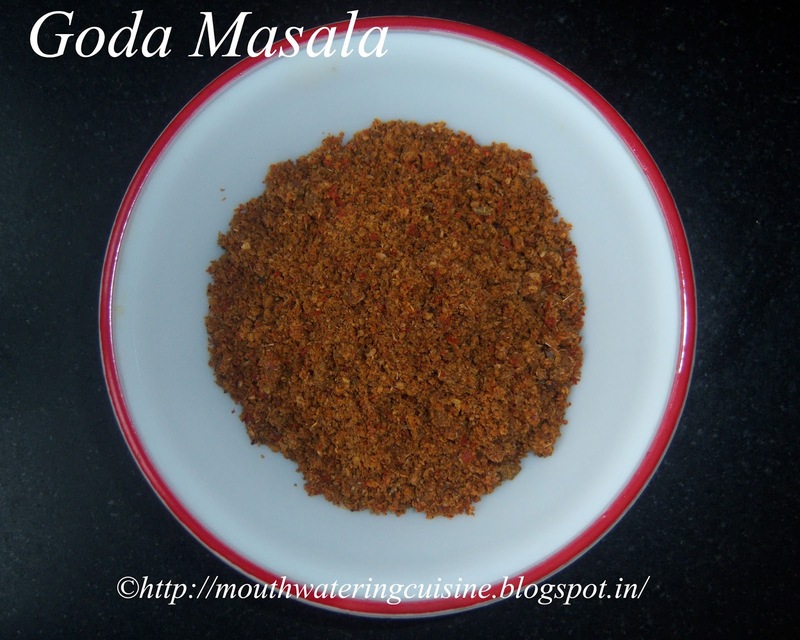 Goda masala or kala masala is a special spice powder used in curries and masala bath. I picked it from my cousin's wife Priya, who is Maharashtrian. This powder is made with different varieties of whole spices. Dry roast all the spices separately and grind them into a fine or coarse powder. It can be stored for one to two months. If it is made fresh and use it in masala bath, the taste of rice is awesome. All my family members loved it very much. We can make it the way we want it like if we want more spicy powder we can add more red chillies and black pepper. But I added only four red chillies and less black peppers which made a moderate spice powder. The aroma and color and structure of the powder is very attractive. I made small amount of it, so that we can consume it before the aroma goes off. Heat kadai, dry roast all the ingredients separately. I did not roasted them separately but I made them into two three parts and then roasted. That procedure I have give below. First roast dry coconut. Keep it aside. Then roast coriander seeds and red chillies. Keep them aside. Then roast shahi jeera, cloves, cinnamon, bay leaf, pepper corns, stone flower and cumin seeds. Once mix all of them and roast them for a minute. Add asafoetida and roast. Allow them to cool and make smooth or coarse powder. We can make it the way we want, I made coarse powder. Keep it in a dry and air tight container.